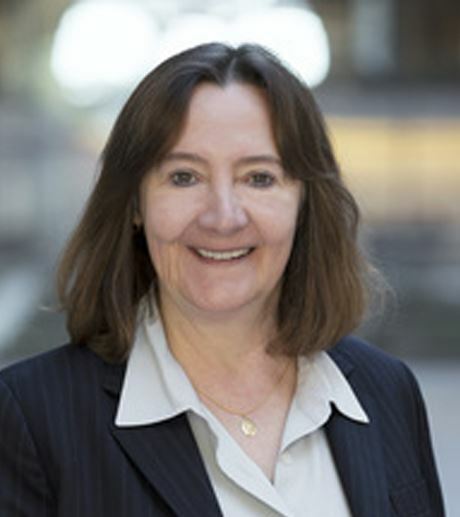 My name is Pam Fulmer and I am a trial lawyer specializing in representing technology companies in high stakes intellectual property and commercial litigation matters. Rather than simply writing a biography about myself and my background, I thought it might be helpful to talk about two very important life lessons that I have learned and how these lessons have changed my life for the better, and why these lessons may also be important to Club members reading this Spotlight. I am talking about the value of not being afraid to take risks, and not hesitating to mentor and be mentored. One of the most important lessons I’ve learned in life is to not be afraid to take risks. Lawyers tend to be naturally risk-averse, and that is why many of us go into the law. But the most successful lawyers among us are calculated risk takers. One risk that I took early on, was moving to California with my college roommate after graduation. Although I knew no one in the Bay Area, I figured it was as good a time as any to make a move, as I did not want to spend my entire life in Ohio. The idea was to work for a year and to get our California residency, so that we could enjoy the lower California in-state tuition for our post graduate studies. With only $1200 in my pocket and nowhere to live, I rolled the dice and took a risk. I boarded a plane in Cincinnati, Ohio and my roommate boarded one in Miami, Florida, and we met at San Francisco International Airport. We decided to move to Berkeley (it was a college town after all), and try to get jobs as waitresses. The Grateful Dead were playing in Berkeley that night and the hotels were almost all booked, but we finally managed to get a room in a flea bag hotel (The Capri) on University Avenue. Even that cheap hotel was expensive to me given how much money I had to work with. None of the rooms had phones and I remember standing in a phone booth on University Avenue watching the traffic whizz by, and assuring my Mom and Dad that everything was fine. I was scared to death and already second guessing myself. The next day I started my job hunt, and discovered that no one wanted to hire me as a waitress as I had no experience working in a restaurant. Finally, with my money running out and my prospects looking exceedingly dim, I secured a job as a Radio Shack management trainee. I knew virtually nothing about electronic equipment, or antenna or fuses, but somehow I managed to eke out a living for a few months and save up additional money until I could find a higher paying job. And then despite additional challenges, things finally started to break my way. By the time I entered law school, I knew absolutely that this is what I wanted to do and I worked hard to do well in school and go to a highly regarded law firm. I have never regretted my decision to take the risk of moving to California. And I have found that sometimes as a lawyer I have needed to take risks too. These are of course calculated risks, and ones that are weighed carefully and thought through. There is risk involved in advocating a novel legal theory, which may not be well settled, but through hard work and flawless execution secures for the client a great settlement. Or going with the witness that others doubted could withstand a vigorous cross-examination, and preparing her so well that by the time she got to the stand she told her story so convincingly and so honestly that the fact finder had no trouble going her way. I think as a general matter that women tend to be more risk adverse than men. I don’t see this as a good thing. I think it is one of the challenges that we face as women in the work force. When I first started practicing law, in-house lawyers who were women seemed reluctant to hire other women. It was much safer to stick with the tried and true men who had always been hired, and who were familiar to their bosses. But sometime in the last 10 years or so, I see in-house female lawyers much more willing to take the risk and hire that female outside counsel, even though that female lawyer may not be a well-known brand name. I am thankful to those women in-house lawyers who have taken risks on hiring me. I work very hard for them so that they never regret the decision that they made in choosing me to handle their case. I urge other Club Members who are in-house lawyers to make that stretch and to take risks and to hire other women, and give them an equal opportunity to pitch your cases. The way law firms are structured it is sometimes hard for women to get a place at the table. If our in-house women colleagues are demanding that law firms provide qualified women candidates for their consideration, we will only gain by breaking down some of the barriers that hold all of us back. Another important lesson that I learned is that it is a lonely road to try to go it alone. It is very important to trust other people and to actively seek out mentors, and to look for people to mentor along the way. After graduating from law school I started as a first year associate at the Howard Rice law firm in San Francisco. My first case was an environmental lawsuit where we were representing a landfill in Northern California that was allegedly leaking into the groundwater. The Senior Associate on the case ran me ragged for a year, and really put me through my paces. I felt at times like she was unhappy with her job and perhaps did not feel that she had been treated fairly, and she was enjoying hassling someone more junior. I could never go to her with questions, and she had no interest in being a mentor, and my life was tough. I resolved at that time that if I was ever the senior associate on a case, and provided I survived my first year as a lawyer that I would be different and I would actively seek to be a mentor to others more junior. Well of course I did survive, and I have fulfilled that promise to myself and have served as a mentor to many other lawyers. This has been one of the most rewarding and satisfying aspects of my career. I have also benefited by being mentored by other great lawyers throughout my career. I believe that it is essential for women to actively seek out mentors or sponsors that can help and facilitate their professional journeys. Also I believe that it is essential for women who are still junior in their careers to make sure that they are looking out for and offering to mentor newer lawyers. I learned so much during my first year out of law school, that by my second year I actually was a great resource to the lawyers who were just starting. Everyone knew that they could come to me and I would share the knowledge that I had. I also made sure that I didn’t use the fact that people were coming to me for advice against them later. The conversations that we had were private and were between the two of us and I never tried to leverage someone’s lack of knowledge to my advantage. Now some of my best clients have been colleagues who I mentored years ago. My advice to Club members is to stretch, get out of your comfort zone, take risks, and treat people fairly and be a sounding board for them. The encouragement, mentorship and support that we give each other now will pay off both personally and professionally for us all. 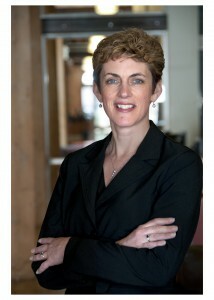 Pam Fulmer is a Partner in the San Francisco office of Arent Fox and is a member of the firm’s Women’s Initiative and Diversity Committees. Q: From your perspective, what are the most important trends that will take place in the satellite industry in the next 10 years? Laura: We are seeing a trend away from larger and more powerful satellites to customers wanting smaller and more versatile spacecraft which can be inserted into diverse business plans. Customers want a satellite with radio and TV content, and internet and broadband content also. Q: Given your position in technology and manufacturing, how has your work or work place changed in the last 5 years, and what do you foresee as changes in the next 5 – 10 years? Laura: Satellite designs have gotten more complex, while costs and schedules have reduced due to market forces. In my area, computer models are increasingly complex, and more upfront analysis is performed. There is a large quantity of information, from requirements to actual test data, and manufacturers building a few components are looking to large-scale production techniques such as product lifecycle and lean manufacturing principles for engineering and manufacturing. Laura: I would steer a new engineer towards getting involved in a professional society that compliments her work interests. By volunteering for chapter positions or committees, she can gain valuable leadership experience. And make sure to let her manager know the new skills she is acquiring! Laura: I would attribute my success as an engineer and a manager to several factors. Besides fundamental skills gained through school and work experience, I happily volunteered for additional work assignments, especially those involving interaction between other groups, for continued learning. I gained leadership experience through professional societies, which improved my communication skills. I’ve worked in many different roles and organizations, each time learning something new along the way, either from the project or from the people. Laura: I have very few regrets in my career, but one big regret involves mentoring. Early in my career, a VP assigned me a mentor; another manager in his area. There was no mentoring program, and I was too naïve to understand the value. When that manager left the company shortly after, I did not know enough to go back to the VP and ask for another name. Now, any young woman can read “Lean In” by Sheryl Sandberg and get a good education on the importance of mentoring! Laura: I have been active in professional societies during the majority of my career, and The Society of Women Engineers has been very good about bringing in women executives as speakers. Almost all mentioned that while you can ‘have it all’, you probably can’t have it all at the same time. I think on that when I have too many irons in the fire. I know I’m happier doing fewer things well, than trying to do too much with mixed results. Laura fun fact: I enjoy Dragon Boat paddling, and am a member of the Bay Area Dragons. I can paddle both right or left sides of the boat! Tell me about your recent career transition. How did that come about? I’ve actually had two major career transitions in the last 20 months. The first one was deciding to leave a great job as an executive at Adobe Systems. 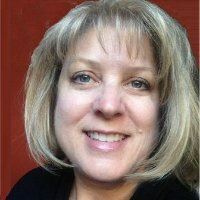 I wanted to pursue my passion of helping other women be successful in the software industry, so I became a leadership coach, speaker, and consultant. After spending my entire career up to that point in corporate jobs, I loved the flexibility of being self-employed. I spent time blogging to build up my personal brand, meeting with friends and former colleagues to promote my business, and growing my professional network. At this time, I joined The CLUB and became a member of the Programming committee; I’ve enjoyed meeting so many talented women through our events. Coincidentally, the networking I did to build my consulting business led me to my second career transition. Earlier this year, a friend invited me to lunch to discuss a business idea he had. Over the next six months, we met every so often, and I saw his business idea morph into what it is today—a social network to help the growing population of online learners complete a curriculum of courses to develop mastery in a field. Along the way, I started seeing connections between his startup and women I met who were taking online classes to improve their technical skills. Many told me that they liked online classes because they could fit them into their busy lives, yet they didn’t think they were learning enough to apply to a real-world programming need. They knew they needed to take more classes and get more experience building software, but they struggled with next steps. As a result, I knew my friend was on to something. In a surprising twist of events, my friend asked me to be the CEO of his company. I wasn’t looking for this kind of role, but I decided to consider it seriously. As I evaluated the opportunity and met more of his team, I became really excited. And I realized that, by joining the startup, I could help more women than I ever could as a consultant. With the support of my husband and kids, I decided to lean into my career once again. I’m now the CEO of Athentica, an early stage online learning startup. And I’m having the time of my life. What drew you to a career in technology? As a child, I was a good student, I enjoyed solving puzzles, and I loved making things. This last memory is especially strong. My family didn’t have much disposable income, and my parents instilled a strong sense of frugality in all that we did. We canned vegetables from our garden, made jam, hand-crafted gifts, and learned to sew and knit. I especially loved making my own clothes; not only did it save me money, it gave me a wonderful creative outlet. When I was in high school, my dad showed me a magazine article of a young woman earning more money than I could have imagined. She was strong in math and science in high school, and she studied computer science in college. My dad suggested I could do the same, and I was definitely enticed by the potential salary. Growing up in such a frugal household, I knew I wanted to pursue a career where I’d be able to support myself. A year later, I was accepted at Brown University and declared computer science as my major. In hindsight, this was pretty risky—I had never even touched a computer! Fortunately, I enjoyed my classes. Just like sewing and knitting, building software met a basic need I had to make things. I found it fun, fulfilling, and frankly addictive. Tell me about your management style today. I see intersections of parenting and leadership on a regular basis, and I share my thoughts on my blog “Use Your Inside Voice.” Please stop by if this sounds interesting to you. What advice would you give to a woman looking to grow in her career while making time for her family? For today’s working parents, there are never enough hours in the day. We all develop coping skills to get it all done, some more extreme than others. What I’ve seen in myself and in my friends is that we’ve mastered the ability to shrink our household duties down to the bare minimum. Even if you have a partner who equally shares these duties (as recommended in “Lean In”), you can still simplify your life to have more time to focus on family and career. Earlier this year, I shared my strategies for simplifying household responsibilities on my blog: http://karencatlin.com/2013/03/18/confessions-of-the-time-starved/. I’m always looking for more ideas. Please tell me about your strategies by leaving a comment on that blog post. Thanks!